Township and County Waste employees unloading a resident's rubbish. 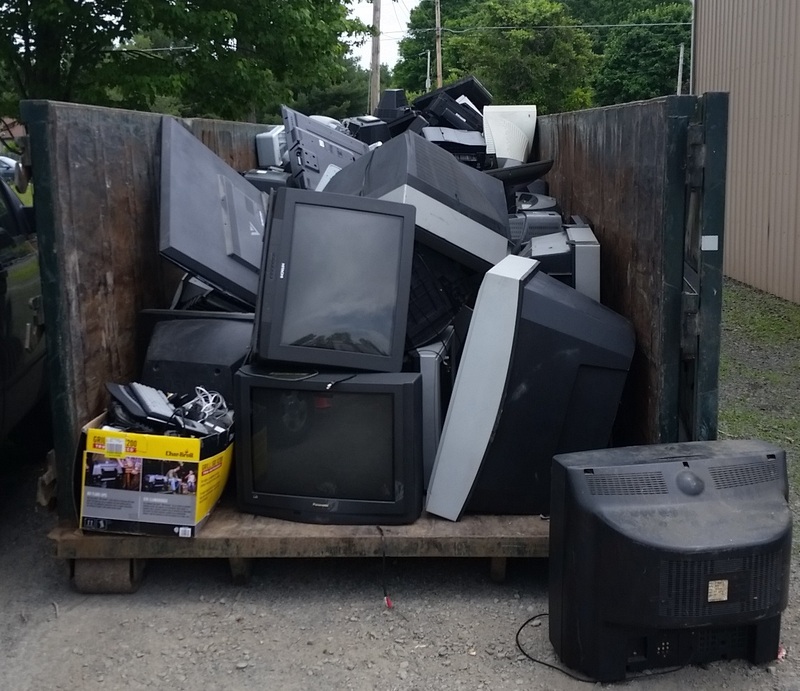 June 9th was balmy making it a perfect day for Dingman Township residents to haul their outdated electronic devices, batteries, and plain old rubbish to the township maintenance yard for disposal. For those of you new to the area, Dingman Township annually holds two "Clean-up Days" where residents can bring items that are bulky and hard to dispose. The township sorts the items into those that can be recycled (e.g. white goods, televisions, car batteries, etc.) and those that must be landfilled (e.g. couches, mattresses, pressure-treated scrap wood, etc.) and the items are processed accordingly. Almost anything may be brought with the exception of liquids, dangerous, or hazardous waste products. Over 80 cubic yards of compacted waste was sent to the landfill. Over 30 yards of electronic items were collected for recycling. Not even noon and a 30 yard bin is almost filled with televisions and other electronic items to be hauled to the recycling plant. Mark your calendars! The Dingman Township Fall Clean-up and Electronics Recycling Day is tentatively set for September 29th. Watch this website for details. 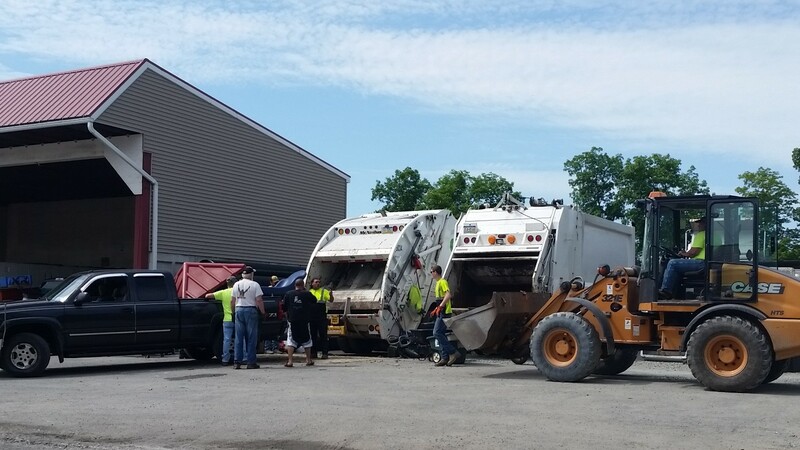 Dingman Township would like to thank the township volunteers, employees of County Waste and Charles Stuehl for all their hard work - AND - all the residents of Dingman Township who participated and made Clean-up Day a success!